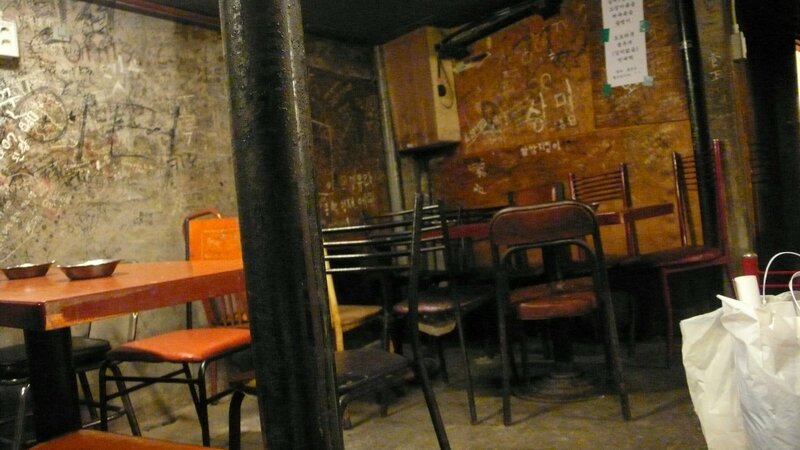 Little things I’ve had recently that were memorable for some reason..
Definitely the dirtiest restaurant I’ve been to in Seoul (Insadong area, pic above). 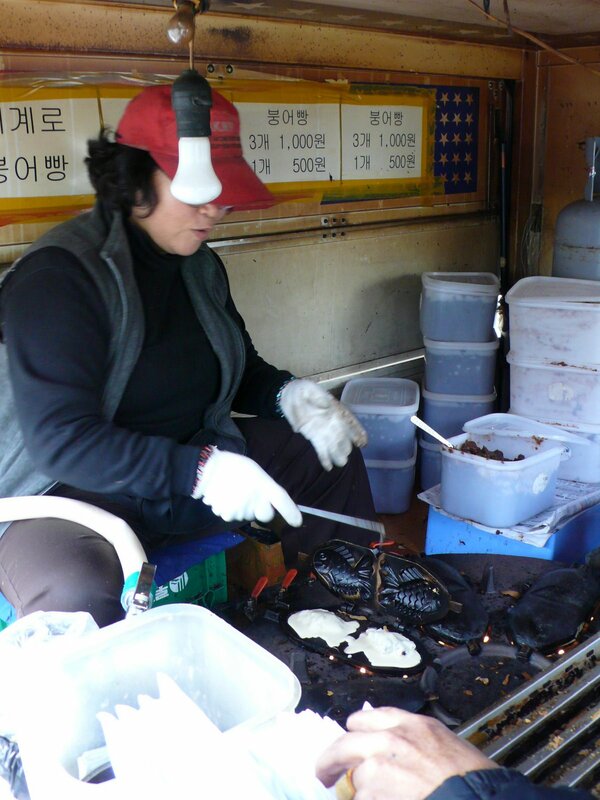 They serve fermented rice wine called makgoli which tastes like vinegar. Except opaque and alcoholic…mmmm. 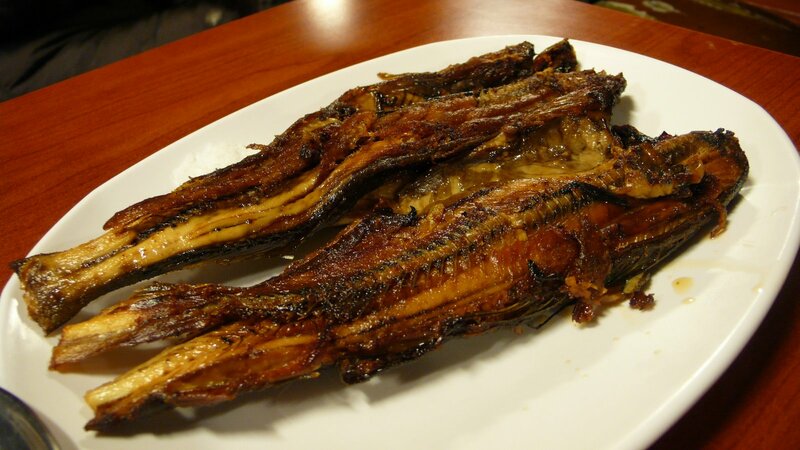 This is some mysterious fish that is completely fried and greasy but kind of delicious. Season it yourself with the coarse salt on the side. The place is most often frequented by workingclass men. 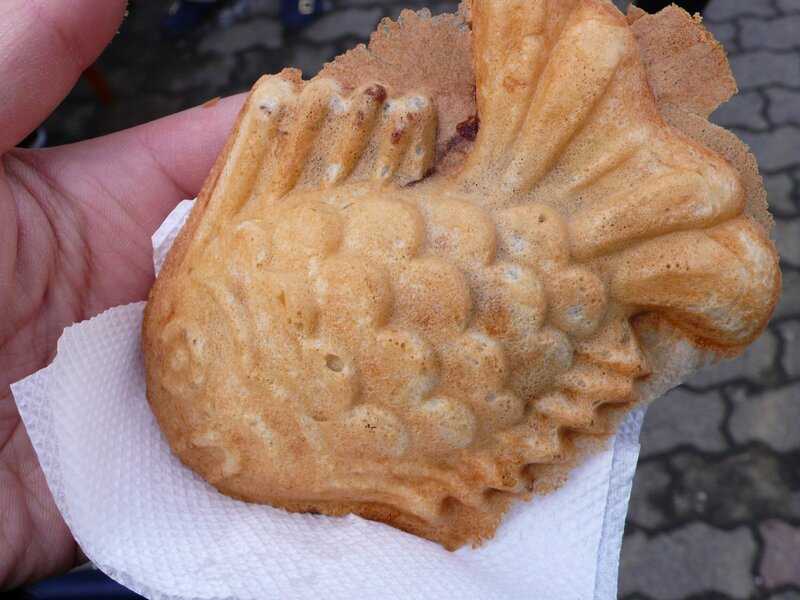 I think it’s “carp bread.” The woman squirts a bit of batter into the cast iron pan and tops with red bean, closes the top and rotates the entire thing. 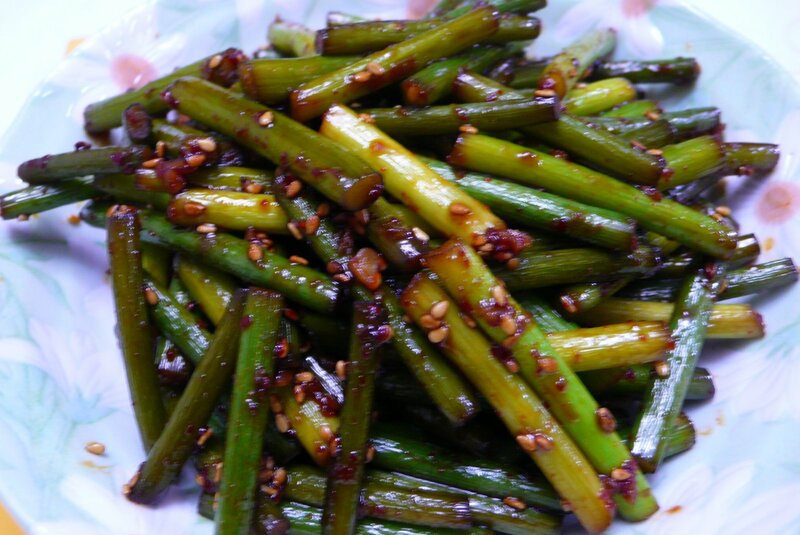 The taste is so normal but amazing when it’s fresh. Plus it’s cute. It’s basically the same as the Japanese version. The smallest cuttlefish ever. 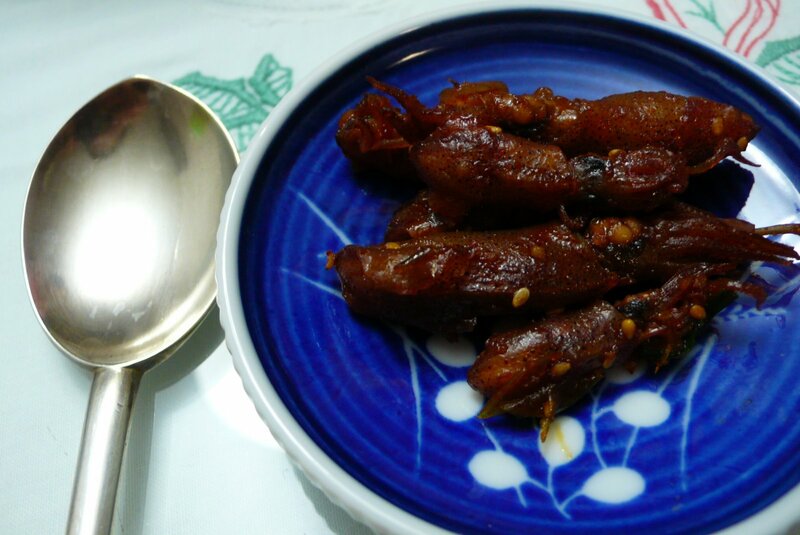 They look like some sort of insect…you eat them whole, of course. Doesn’t this look amazingly nasty? I thought it was some sort of weird fungus. 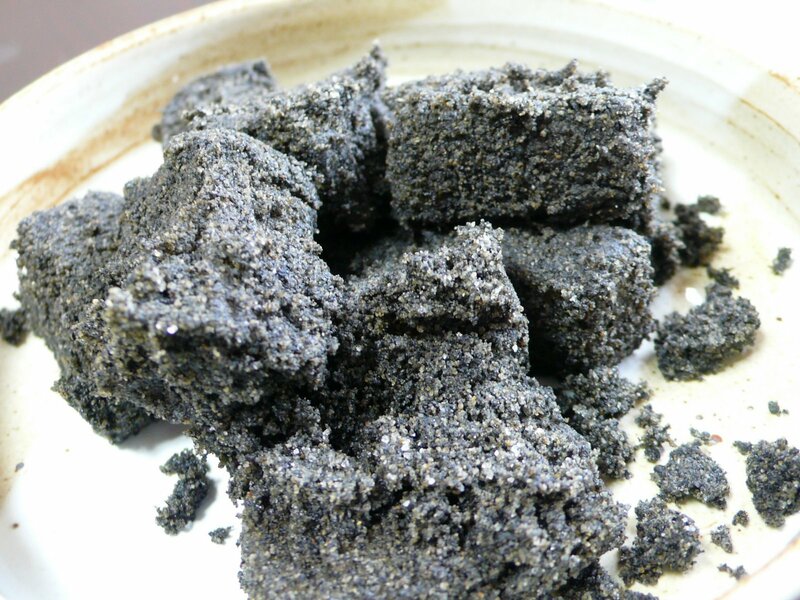 But of course it was just rice cake covered with very finely ground black sesame. So lightly sweet and delicious. 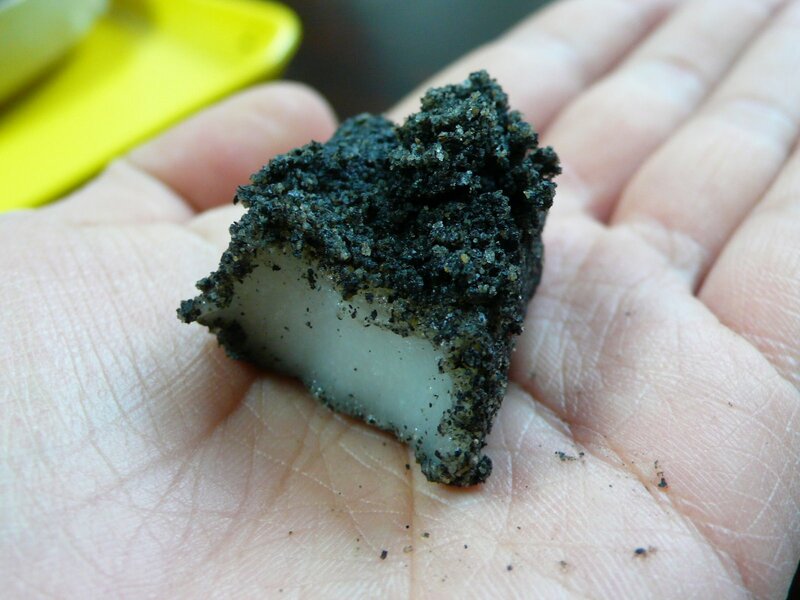 “Ddeok” (rice cake) is one of my favorite foods but it’s actually quite bad for you. 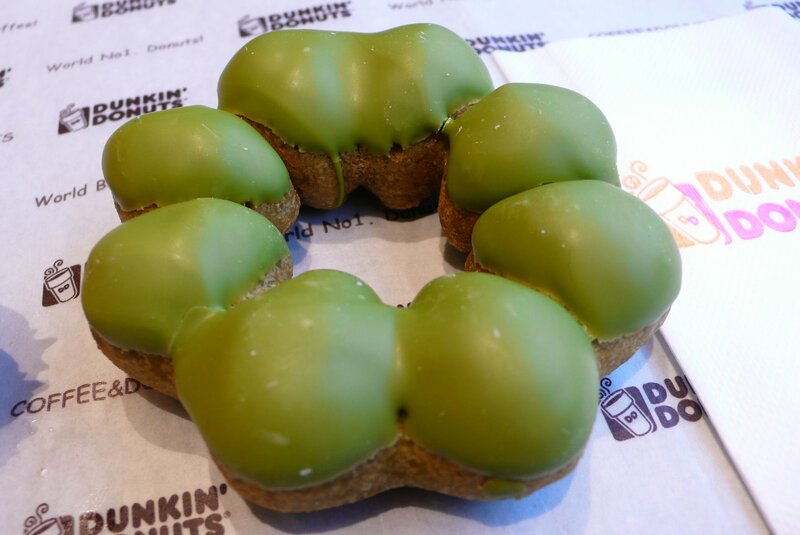 My favorite at Dunkin Donuts. The Engrish reads “Green Tea Chewisty.” It uses sweet rice flour? The same for making rice cakes and it makes the donut really chewy. The icing is kind of marzipan-ish and it tastes blandly amazing. Everyone knows Japan has great food. Beautiful food. Complex food. But let me be the one to tell you…Japan knows the Donut. 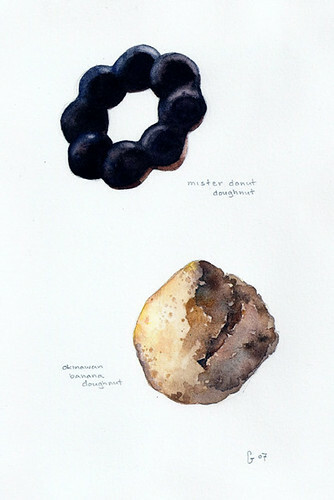 These drawings are of some of the finest dough treats I ate while traveling in Japan during the month of April. Mister Donut, makes classic donuts that are not too greasy or too sweet. And they come in unusual shapes like this eye catching “beaded” dounut. 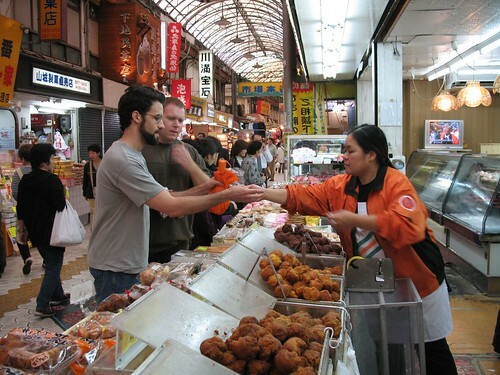 In tropical Naha on the island of Okinawa, vendors sell Okinawan donuts along the colorful International Street. I tried the banana, a cakey heavy donut ball that tasted like a awesome greasy banana bomb. Yeah! You are currently browsing the archives for the Donut category.